With more than 55 million items, the Library’s Manuscript Division contains the papers of 23 presidents, from George Washington to Calvin Coolidge. In this article, Manuscript Division Chief James Hutson draws upon the papers of Washington, Thomas Jefferson and other primary documents to discuss the relationship of Islam to the new nation. Many Muslims feel unwelcome in the United States in the aftermath of September 11, according to newspaper reports. Anecdotal evidence suggests that substantial numbers of Americans view their Muslim neighbors as an alien presence outside the limits of American life and history. While other minorities—African Americans, Hispanics and Native Americans—were living within the boundaries of the present United States from the earliest days of the nation, Muslims are perceived to have had no part in the American experience. Readers may be surprised to learn that there may have been hundreds, perhaps thousands, of Muslims in the United States in 1776—imported as slaves from areas of Africa where Islam flourished. Although there is no evidence that the Founders were aware of the religious convictions of their bondsmen, it is clear that the Founding Fathers thought about the relationship of Islam to the new nation and were prepared to make a place for it in the republic. In his autobiography, Jefferson recounted with satisfaction that in the struggle to pass his landmark Bill for Establishing Religious Freedom (1786), the Virginia legislature “rejected by a great majority” an effort to limit the bill’s scope “in proof that they meant to comprehend, within the mantle of its protection, the Jew and the Gentile, the Christian and Mahometan.” George Washington suggested a way for Muslims to “obtain proper relief” from a proposed Virginia bill, laying taxes to support Christian worship. On another occasion, the first president declared that he would welcome “Mohometans” to Mount Vernon if they were “good workmen” (see page 96). Officials in Massachusetts were equally insistent that their influential Constitution of 1780 afforded “the most ample liberty of conscience … to Deists, Mahometans, Jews and Christians,” a point that Chief Justice Theophilus Parsons resoundingly affirmed in 1810. Toward Islam itself the Founding generation held differing views. An evangelical Baptist spokesman denounced “Mahomet” as a “hateful” figure who, unlike the meek and gentle Jesus, spread his religion at the point of a sword. A Presbyterian preacher in rural South Carolina dusted off Grotius’ 17th century reproach that the “religion of Mahomet originated in arms, breathes nothing but arms, is propagated by arms.” Other, more influential observers had a different view of Muslims. In 1783, the president of Yale College, Ezra Stiles, cited a study showing that “Mohammadan” morals were “far superior to the Christian.” Another New Englander believed that the “moral principles that were inculcated by their teachers had a happy tendency to render them good members of society.” The reference here, as other commentators made clear, was to Islam’s belief, which it shared with Christianity, in a “future state of rewards and punishments,” a system of celestial carrots and sticks which the Founding generation considered necessary to guarantee good social conduct. The Founders of this nation explicitly included Islam in their vision of the future of the republic. Freedom of religion, as they conceived it, encompassed it. Adherents of the faith were, with some exceptions, regarded as men and women who would make law-abiding, productive citizens. Far from fearing Islam, the Founders would have incorporated it into the fabric of American life. James H. Hutson is chief of the Manuscript Division and the author of many books, including, most recently, “Religion and the Founding of the American Republic,” 1998. 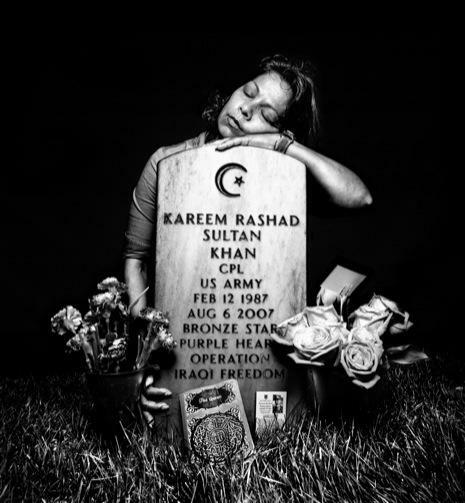 Muslims are for Americans what the Russians were for Churchill: “A riddle, wrapped in a mystery, inside an enigma.” While the post-9/11 period brought an interest in the Qur’an and its language, the gap between Islam and mainstream America has steadily widened. It remains more urgent than ever for the US to comprehend Islam, a religion practised by one out four people in the world, not only for the sake of its ideals (which include religious tolerance) but also for its geopolitical needs and strategy as America remains militarily involved in Afghanistan, Iraq, Pakistan, and Somalia. The reality is that Islam remains unknown to most Americans, who, on top of all the other insecurities and fears about the religion, have recently added another: the “homegrown terrorist”, which President Obama has named as one of his administration’s top national security priorities. I have been in a unique position to observe America’s attitudes towards Islam, travelling with a team of young Americans for over a year throughout the length and breadth of the United States to over 75 cities, visiting more than 100 mosques and talking to thousands of Muslims and non-Muslims. I realised that it was impossible to study Islam in America without studying America itself and its identity, which I determined goes back to the first Mayflower settlers. In short, there are three basic identities that define American society: primordial, pluralist, and predator. Primordial identity is rooted in the seminal landing at Plymouth and provides the foundation of the two other identities. The aim of the early settlers was to survive and create a Christian society under the rule of law. 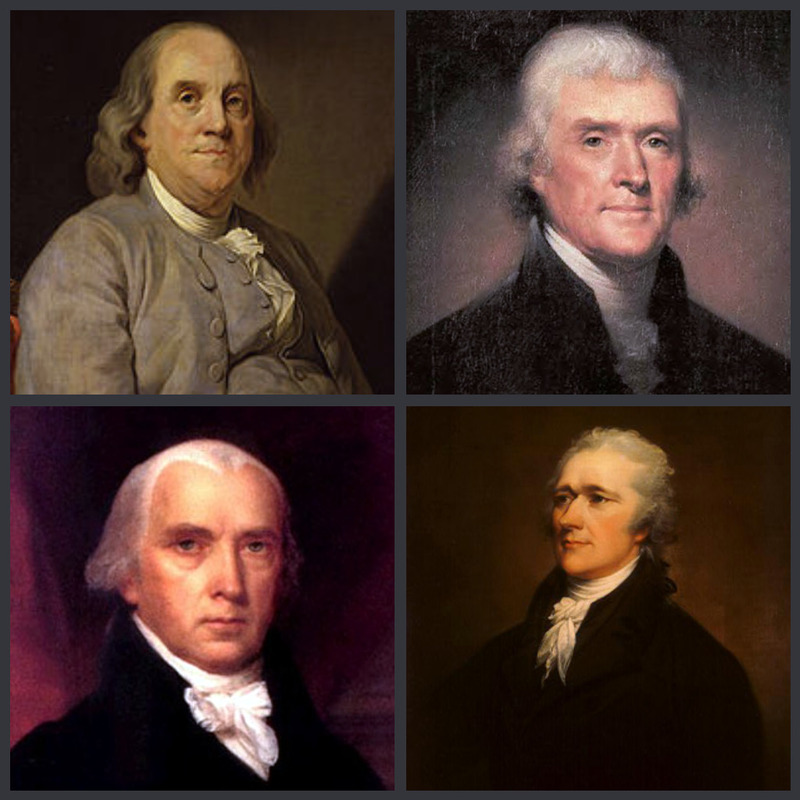 The majority of the Founding Fathers in the next century would subscribe to what I call pluralist identity – believing in civil rights and liberties, religious freedom and tolerance. America has a strong foundation in which to solve the challenge of the Muslim community if Americans look to their past and revive the spirit of some of their truly great leaders. Roger Williams, in the 17th century laid the groundwork for separation of church and state and welcomed people of other faiths. The state, said Williams, should allow all religions, including the “Turkish” (Islamic). Thomas Jefferson owned a Qur’an and we found a statue of Jefferson at the University of Virginia advocating “Religious Freedom, 1786” with the words God, Jehovah, Brahma and Allah carved on the tablet he embraces. A treaty, which was sponsored by George Washington and signed by John Adams in 1797, pertained to Tripoli and assured that the United States “has in itself no character of enmity against the laws, religion or tranquility of Musselmen.” Even the Prophet Muhammad was praised by the Founding Fathers; Adams called him one of the world’s “sober inquirers after truth” alongside such figures as Confucius and Socrates, and Benjamin Franklin cited the prophet as a model of compassion. As primordial identity was taking shape at Plymouth, however, and new trends were already emerging. The more zealous of the settlers argued that the land was given to them by God, and they were to occupy it regardless of who was living there. As their confidence grew, they began to prey on the weaker natives, justifying their force in the name of protecting the community, generating an arrogance that did not encourage self-reflection and making it easy to demonise and destroy the enemy. This marked the birth of a predator identity. It is this understanding of American society which allows us to put the Muslim community in America into context. Our findings from the field bring both bad news and good news. The bad news is that every one of the major American Muslim categories – African Americans, immigrants, and converts – has been involved in recent violence-related cases in the United States. In view of the bankruptcy of Muslim leadership and American failure to truly understand the Muslim community, it is not difficult to predict that violence will increase in both frequency and intensity. I am sorry to say that the government and its various agencies still do not have an adequate policy towards the country’s Muslim population. Some Muslims are affected by US actions taken in response to 9/11, which included the arrests and deportation of thousands, prompting many others to flee the country. These realities have reinforced the sense of being a mistrusted community. Others resent the Islamophobia they see in the media. The good news is that American and Muslim leaders alike are now conscious of the problem of terrorism and its scale and are actively discussing the position of Muslims in America. Some of our findings challenge the received wisdom telling us that most Americans are hostile to Muslims. Of those questioned for our study, 95% said that they would vote for a Muslim for public office, for example, and an equally high number of respondents had no problem with Muslims being “American”, although some inserted “if” clauses. We found a patriotic and vibrant Muslim community committed to contributing to the country. Dialogue and understanding are urgently recommended. America stands at a crossroads. It will have to choose either to embrace the Founding Fathers’ pluralist vision or the America that compromises the Constitution and the values of the Founding Fathers. Primordial and predator identity remain alive and well in today’s United States. In one way or another, people everywhere have a stake in America resolving its identity because America’s unique, universal vision of society formulated by its Founding Fathers attracts the world. A new chapter in the history of the United States has opened after 9/11 and America’s future will be decided on how it resolves its ongoing engagement and entanglement with Islam.